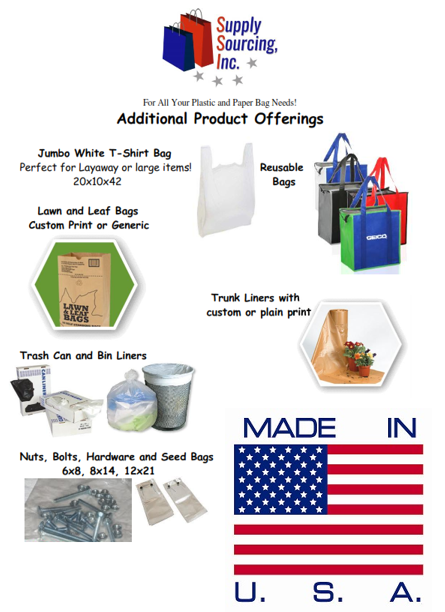 Our Products - Supply Sourcing, Inc.
We specialize in Custom Printed t-shirt bags of all shapes, colors and sizes as well as all the products below. Don't have artwork? No worries we have an artist on staff that can take care of that for you!